My wife and I recently used Bob Smith and Universal Lending for our mortgage. Bob could not have provided a better experience. He is thorough, educational, professional and a pleasure to work with. While we hope we stay in our house for a long time there is no doubt that the next time we need a loan or help with our mortgage we will be using Universal Lending and Bob Smith. I would highly recommend Elizabeth Turra if you're looking for a home loan. Many of my clients have worked with her for their home loans, and every one of them has been very happy with the service she provides. She takes the time to educate her clients so that they understand the loan process. Don't hesitate to call Elizabeth if you are buying or refinancing your home. Dareen W.
Steven Tilghman is an outstanding loan officer and I recommend him to everyone I come into contact with. He has years and years of experience to truly ensure that you have the best experience with the results you want. He's a great professional to work with and makes sure you have the smoothest transaction possible. If you have the privilege of working with Steven you won't regret it and you'll be a client for life. Abbey D.
KC Harney is the best! He was always patient, and explained everything clearly. He is the reason our first house buying experience was flawless. Judy N.
I would absolutely recommend Claudia Lopez. She and her processor Candice, were on top of everything and were a pleasure to deal with. Everything from Beginning to end, everything ran smoothly and loan was basically done 1 week before closing. Diane H.
I did not know what to expect as I’d never purchased a home before, but my process was much more smooth than what I saw a friend go through. 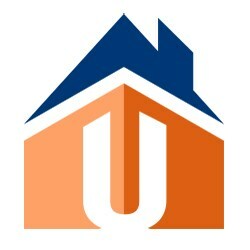 ULC and Matt Ackerman made it as easy for me as I think the process of buying a home could have been. Babette G.
Deb Seeber met a very tight time frame with great efficiency. Judy and Dan E.
Christopher Lovio was very friendly and always had my best interests in mind. Shauna M.
This is our second time working with Lisa Lessard. She represents the company beautifully and is a pleasure to work with: friendly, available, and helpful. Anonymous. Alisa York was very helpful. As a first time homebuyer, I didn’t know what to expect and she walked me through the process. David H.
Debbie Allenbaugh and her team went way out of their way to complete this on time and accurately. ULC is the best loan company ever! Jeffrey S.
Keep doing what you are doing KC Harney! PERFECT! Garrett N.
Doni Dolfinger exceeded my expectations in every way. Her service was excellent. Gary I.
Marna Deines made the house buying process fun and simple! She always answered my questions in a timely manner. Thank you! Nicole N.
Susan Gumm went beyond to do everything she could to help us get our loan. She exceeded my expectations by listening and answering all my questions, patiently. Kathleen M.